Digital transactions have gathered momentum giving a fillip to the less cash economy post demonetization thanks to the initiatives taken by the Government. NITI Aayog’s two schemes- Lucky Grahak Yojana for consumers and the Digidhan Vyapar Yojana for the merchants have played a catalytic role in making it a mass movement. The winners will be felicitated by the Prime Minister on April 14th, 2017 at Nagpur, on the occasion of Ambedkar Jayanti. Union Ministers Shri Ravishankar Prasad, Shri Kalraj Mishra, Shri Thavarchand Gehlot, Shri Jual Oram, Shri Piyush Goyal, Shri Santosh Gangwar, Shri Rao Inderjeet Singh along with the Vice Chairman of NITI Aayog Shri Aravind Panagariya, CEO NITI Aayog Shri Amitabh Kant and senior officials attended the event. In his address, the President Pranab Mukherjee urged all citizens to extend their unstinted support to the mission of a less cash India. He said India is on the cusp of a digital revolution. More than one billion Indians have a unique identity number in Aadhaar with a biometric identifier which is unique in its own way. He appreciated that the Aadhaar enabled payment system has made digital payments possible for even those section of the population who may not have mobile phones. The President complemented the Government on its bold initiatives for promoting the culture of digital payment in the country. He said it was in line with such bold initiatives that the Parliament made a new beginning in Financial Management through passage of Annual Budget by March 31, 2017. The two schemes were launched on December 25th, 2016. Under the scheme, daily, weekly and monthly rewards worth Rs. 256 crore has been disbursed to over 16 lakh citizens over the past 100 days for making and accepting small transactions digitally. Modeled after a careful study of best practices undertaken internationally to create an economy that is minimally reliant on cash, the schemes have been executed over a period of 100 days. Combined with Digi Dhan Melas held across India, in 100 cities over a period of 100 days, the initiative has had a transformational impact in enabling the adoption of digital payment methods in all walks of life. 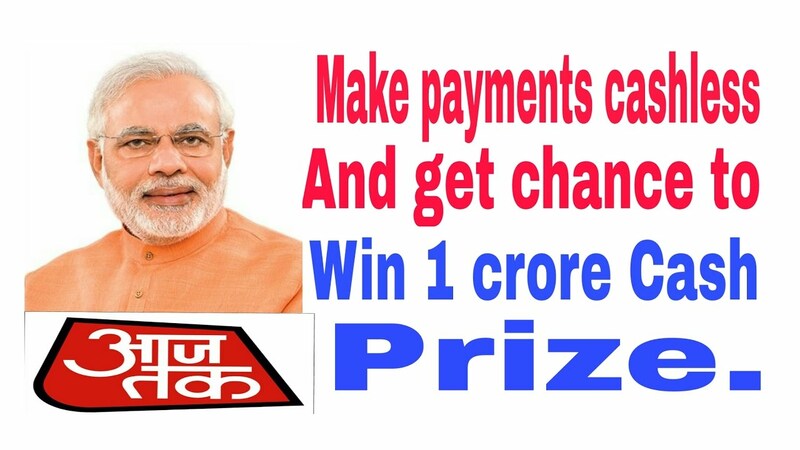 Over the past 100 days, everyday 15,000 consumers have qualified for total prize money of Rs. 1.5 crore. Additionally, 14,000 weekly winners, both consumers and merchants, have received a total prize money of over Rs. 8.3 crore every week. 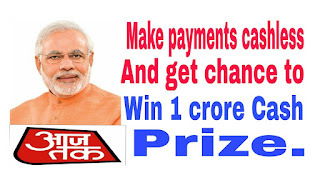 Customers and merchants using RuPay Card, BHIM / UPI (Bharat Interface for Money / Unified Payments Interface), USSD based *99# service and Aadhaar Enabled Payment Service (AePS) have been eligible for wining daily and weekly lucky draw prizes. “The draw has seen a positive impact from various age groups and occupations in adopting digital payments methods. We have seen a steady increase in the number of transactions made using all payment methods,” said A. P. Hota, MD & CEO, NPCI, which has been responsible for conducting the draws. An analysis of digital payments’ users across India reveals that Maharashtra, Tamil Nadu, Uttar Pradesh, Andhra Pradesh, Delhi and Karnataka have emerged as the top five states / UTs with maximum number of winners. An analysis of winners profiles’ reveals that they are spread across a range of occupational categories including salaried employees, housewives, farmers and daily wage labourers. While majority of the winners were in the age group of 21 to 30 years, there are also a significant number of winners who are above 60 years of age. Over 18 million people have downloaded Bharat Interface for Money or the BHIM App, creating a new world record. The UPI based transactions crossed Rs.2000 crore mark in the month of March showing an increase of 20% since January this year. The rise in digital transactions is a reflection of the people’s resolve to give a push to the Prime Minister’s quest for ending the black money through digital payments and penetration of formal finance in the hinterland of the country. Digital payment methods are now gaining the proportions of a mass movement.